What’s With Those Odd Lots? George Rossie and his wife, Chris, own half of the lot bounded by 19th, Montview, Cherry and Clermont. Rossie is seated on a playset he helped install at the site. Many in Park Hill are curious about various vacant or partially-vacant lots that you find in the neighborhood. What is their history? Who owns them? Can they be developed, and under what restrictions? According to the book Denver’s Park Hill Neighborhood, written by Rebecca Dorward as part of Arcadia’s Images of America series (and available at the Park Hill Community Bookstore), many of these lots are within an area originally developed by Caspar Hartman. In 1871, he platted Hartman’s addition, bounded by Colfax Avenue, Montview Boulevard, Colorado Boulevard and Dahlia Street, laying out the streets in square blocks instead of the usual rectangles divided by quarter-acre lots. These lots were later divided into smaller parcels to provide street access to all residents. Commonly referred to as carriage lots, these odd bits of property were used for stables or carriage houses, according to Janice Tilden, staff director of the Board of Adjustment for Zoning Appeals. Many were originally held in common by all surrounding homeowners, but this is no longer the case; today some portions of these lots are still privately-held while some are owned by the city. Few, if any, of these lots will be developed, as they lack the street frontage required by current zoning code and provide no access to emergency vehicles. The lots that have been developed, according to Tilden, predate the first zoning code in 1923, or have been bought by nearby residents to expand their existing lots. Pam and I found a few facts about some of these odd lots, mostly in the southwest quadrant of the community. Please let us know if you know any more about these or other lots. 19th/Montview/Cherry/Clermont. This area was once referred to by some as Montclerry Park, although it never was an actual public park. The eastern half of the lot is owned by George and Chris Rossie, and the other half by the city. On the site you will find two basketball rims, a semi-submerged tire, a swingset and a few scrawny trees. 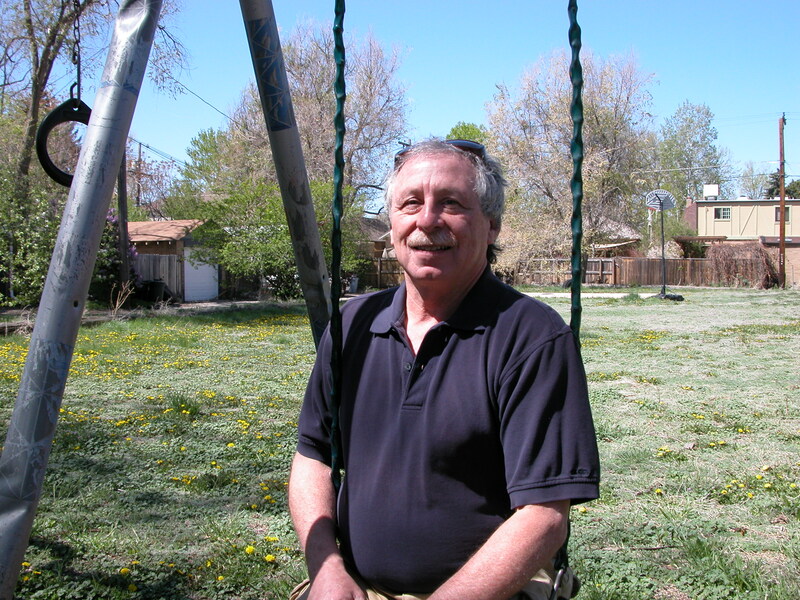 Rossie, who bought the property in 1986 along with his house, and his neighbors have put a good deal of work into sprucing it up, despite there being no water supply on the site: they keep it mowed, put in a swingset and planted the trees. Batavia/16th/Cherry/Dahlia. Tom Manfred and Debbie Tannenbaum purchased the lot in 1997 from the Unity Church on the Avenue and have planted 50 xeriscape plants on the site. While the lot is zoned for a single-family home, various uses have been suggested for the property, including a community garden, swimming pool and tennis courts. Tom and Debbie have also looked into the possibility of a community solar array. Albion/Colfax/Bellaire/16th. This lot, formerly the site of a multi-car garage, has been turned into a handsome community garden. 18th/19th/Cherry/Clermont. This lot has gone through various incarnations and subdivisions, and is now owned privately by three families who have fenced in the area that includes a garage, a garden and a bocce court. 18th/19th/Cherry/Dahlia. Once the site of a carriage house, this lot is now occupied by a three-car garage and raised garden beds. 19th/Montview/Cherry/Dahlia. Currently a parking lot owned by Montview Presbyterian Church. Ideas? Questions? Contact us at 303-388-5204 or denverfarrar@comcast.net.